Guess which is the least expensive yet very exciting activity for kids this summer 2016? Last time we set up a backyard camp. I hope you enjoyed this experience! Today, I suggest an inexpensive, healthy and bonding activity for you and your kid. Perhaps your kid will remember it as the most exciting thing this summer. Take them on a special adventure by going outside and …. fly a kite. According to the Lincoln High in Los Angeles, flying a kite is the third favorite activity boys like to do this summer. And it is by far the least expensive excitement; much less expensive than a day at the Six Flags Magic Mountain entertainment park. A kite, on the other hand, costs not even $20 at WalMart. Moreover, engineering minded parents can make a kite with their own hands. What is needed is sturdy paper or plastic, a light-weight wooden frame and a long string. You may find a kite blueprints online. For those who need expert help consult a mechanical engineering tutor. Check you local weather forecast. What you need is a nice breeze. Then search for suitable open area, preferably one without trees and power lines. To fly the kite lay down your kite on the ground. Next, attache about 100 yard string on the bottom of the frame and walk wind wards. Launch the kite by pulling on the string as fast as possible, preferably by running into the the wind for at least 10 yards. Note, the wind can change directions suddenly. So be sure to always keep an eye on your kite. The last thing you want is to get the kite crashed while your kid is watching you. For the more advanced pilots among you there are couple tricks you can do while flying your kite. Steer right or left by simply jumping in this direction, or pull-in the string and let it go quickly. Then your kite tumbles and recovers thereafter. You kids will be amazed at your piloting skills. 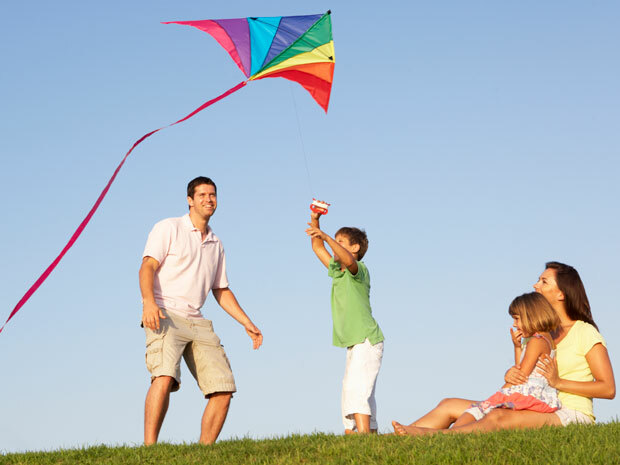 Flying a kite is a active sport, and great bonding time with your kid. So have tons of fun together! This entry was posted in summer break and tagged fly a kite, kids, mechanical engineering, summer, tutor, tutorz, windy day. These are very good kite flying instructions. Did your dad take you kite flying when you were young, Maya? Thank you for your comment, Dan Onorato! I have wonderful memories of kite flying when I was a kid. Hi May, Do you know In India we have small kids from villages (educated or non-educated) make and fly kites like a piece of cake. Kites are made of polythene or from paper. And we also have kites festival. Many of the American kids could learn from the children in Indian villages if they build the kites themselves and fly them like an ace. I remember flying a kite when I was a kid. I am proud of it. But even then my parents bought the kite. I would not know how to build it from polythene and paper.